Sophomore midfielder Ryli Quin takes a shot during a lacrosse practice scrimmage on Jan. 29. 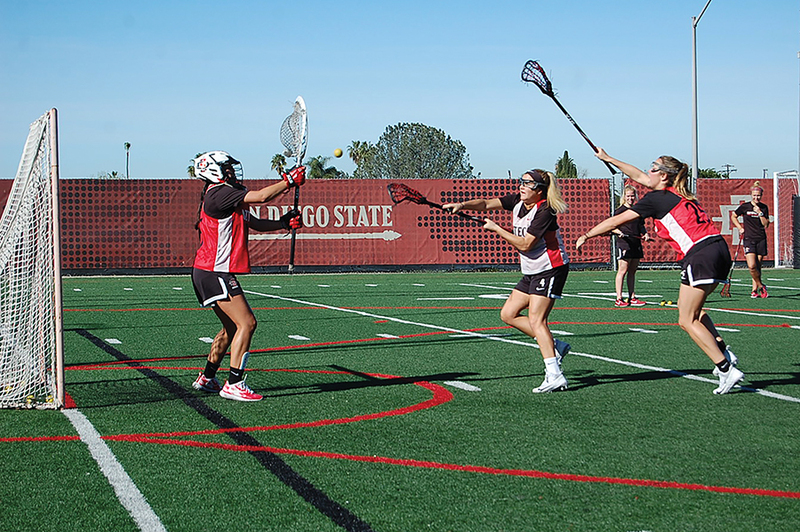 Since its inception in 2012, the women’s lacrosse team at San Diego State has never had a season quite like its last. 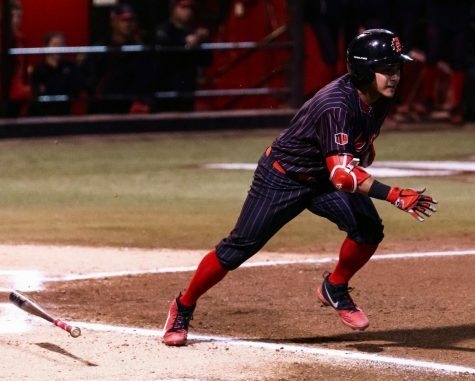 The team finished with its highest ever win total, putting together a record of 10-8 which included a victory over the University of Oregon in the postseason Mountain Pacific Sports Federation tournament. 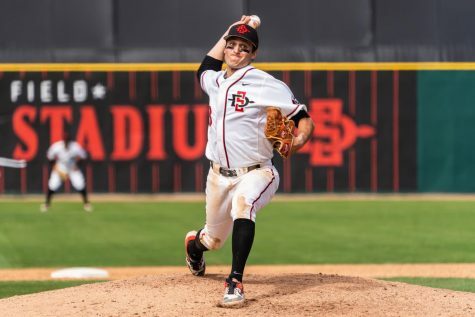 The tournament victory was the first in the program’s five-year history and, despite losing its next game to a nationally ranked University of Southern California, it has given this years group something to build upon. Lech started every game last season, and the strong defensive player has been named a team captain this year by head coach Kylee White. 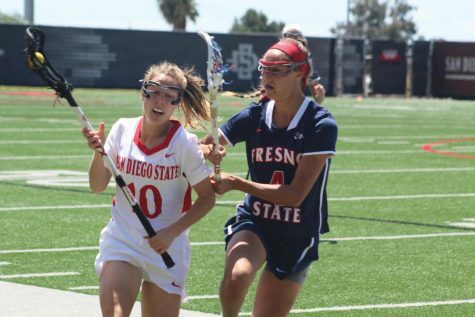 Lech is one of only two senior players returning to the team, along with midfielder Elizabeth “Liz” Rourke, who said that she expects to go all the way this season. 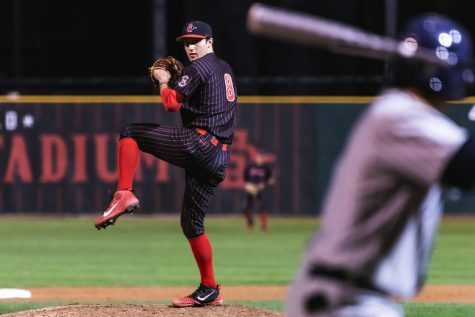 “Once we get to the tournament and the championship game I think it’s going to be really exciting once we win,” Rourke said. 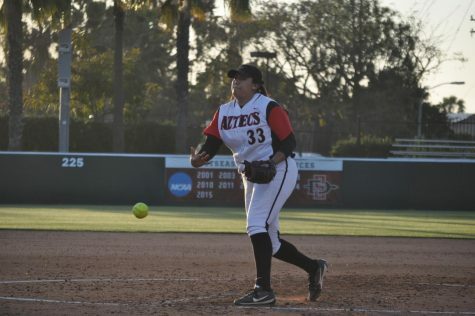 SDSU will be hosting the tournament this year, which will be smaller than in years past after six schools (including defending MSPF champion USC) left the conference following the end of last season. 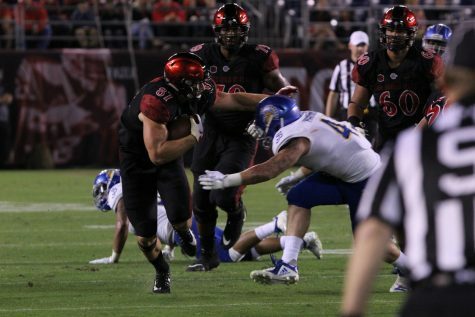 Only Fresno State University and the University of California, Davis remain, but Rourke said that despite the small conference size, the Aztecs are prepared to show they still are a team to be reckoned with. Junior midfielders Natalie Peel and Harlowe Steele were also named captains. “I think (Steele) and (Peel) are going to balance things out for sure on both sides of the ball,” White said. In total the team has 20 returning players from last year’s squad, along with a class of 13 newcomers. One fresh face is Bailey Brown, a freshman from Katy, Texas who is already making her presence felt on the practice field. What the team won’t have is its five leading goal scorers from a season ago, after the departures of Kristen Hickey (34 goals), Kayla Deitz (30 goals) and Alex Watson (27 goals). The top goal scorer to return will be sophomore midfielder Taylor Sullivan, who finished her freshman season with 17 goals on an efficient 38 shots, and who figures to be an even bigger part of the offense this season. “Sullivan is just so shifty, and she’s definitely going to be an impact player for us as a sophomore,” White said. 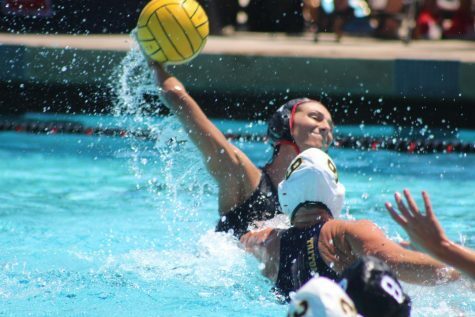 Another player looking to make a splash this season is junior goalkeeper Katy Sharretts, a first-time starter who White called “unreal”. It remains to be seen how the young team will do this season, but if you ask White, there is nothing to fear. 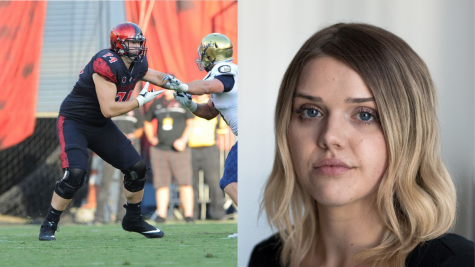 SDSU’s first match of the season will be on Feb. 11, when the team hits the road to take on the University of California, Berkeley.